Watch Live C-SPAN and MSNBC Live Breaking News. C-SPAN is an American cable and satellite television network that was created in 1979 by the cable television industry as a public service. C-SPAN televises many proceedings of the United States federal government, as well as other public affairs programming. 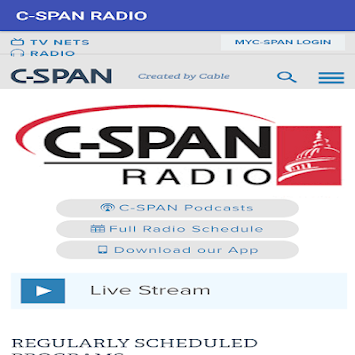 The C-SPAN network includes three television channels (C-SPAN, C-SPAN2 and C-SPAN3), one radio station (WCSP-FM) and a group of websites that provide streaming media and archives of C-SPAN programs. C-SPAN's television channels are available to approximately 100 million cable and satellite households within the United States, while WCSP-FM, also called C-SPAN Radio, is broadcast on FM radio in Washington, D.C., and is available throughout the U.S. on XM Satellite Radio. The network televises U.S. political events, particularly live and "gavel-to-gavel" coverage of the U.S. Congress as well as occasional proceedings of the Canadian, Australian and British Parliaments (including the weekly Prime Minister's Questions), as well as other major events worldwide. 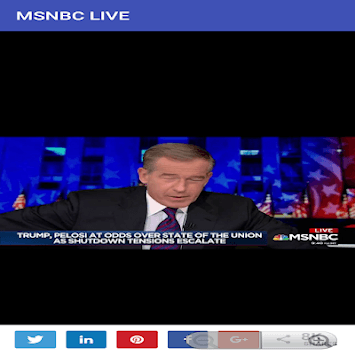 Its coverage of political and policy events is unedited, thereby providing viewers (or listeners) with unfiltered information about politics and government. Non-political coverage includes historical programming, programs dedicated to non-fiction books, and interview programs with noteworthy individuals associated with public policy. C-SPAN is a private, nonprofit organization, funded by a 6¢ per subscriber affiliate fee paid by its cable and satellite affiliates, and does not have advertisements on any of its networks, radio stations, or websites, nor does it ever solicit donations or pledges. The network operates independently, and neither the cable industry nor Congress has control of the content of its programming.